Typically, when vendors release the latest version of their product, it costs the customer slightly more than the previous year’s model because of the improvements made to make that product better. As customers, we may be inclined to give in because we want those extra features of the new model. This is evident in the automotive industry and with mobile phone vendors, for example. On the other hand, some vendors will reduce the feature set of their new model to keep costs low. But what good is that if the customer gets less features in return for the same price? Especially when the price of technology goes down with time, vendors should be able to put that extra savings into delivering more value for the customer. 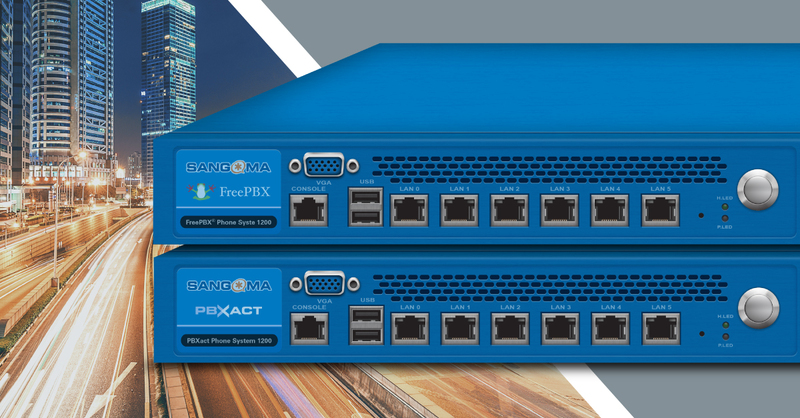 At Sangoma, we thrive on delivering value-based products, and we are doing it again with the new PBXact 1200 and FreePBX 1200 phone system appliances. The new appliances can support up to 1200 users and can handle up to 350 concurrent calls. They are replacements for our PBXact 1000 and FreePBX 1000 systems, which handle 1000 users and up to 300 concurrent calls. With the new appliances, all the end user features are the same as previous models, allowing you to get more value with the additional capacity. And we also include dual PSU with every appliance at no extra cost! The new models are being introduced with the same price as the existing PBXact 1000 and FreePBX 1000 models of US$7295 and US$1595, respectively. So, while vendors may be upping their price tags or reducing their features to keep costs down, Sangoma is delivering more value to its customers, without taking more out of your pocket. You now get 200 more users per system, 50 more concurrent calls, dual PSU, and the latest hardware. Now, that’s true value. The new PBXact 1200 and FreePBX 1200 appliances are available for purchase today, February 1, from our worldwide network of authorized partners. For more information on the new appliances, check out our website.